Hardcover book in very good condition. Dust jacket in fine condition. Inside of cover: Random House Publishers Label saying this review copy goes to a certain Stuart Nulman. Contains a selected bibliography and an index. Thwaite, Ann, A. 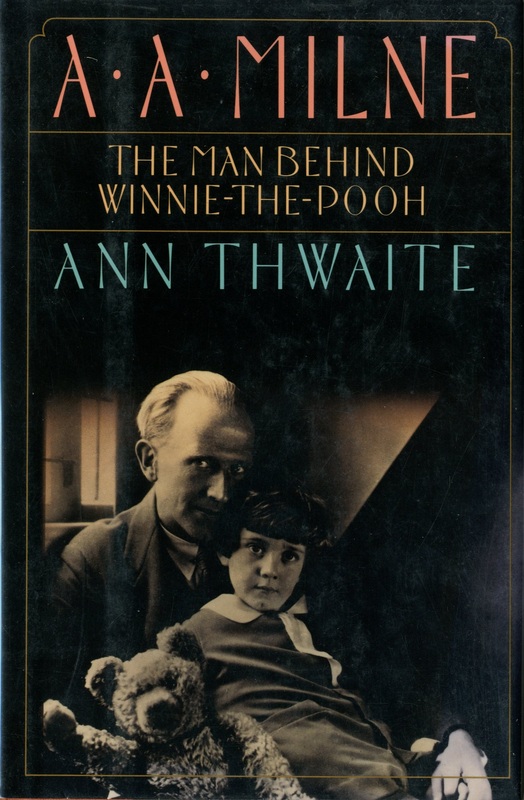 A. Milne, Toronto: Random House, 1990, Children's Literature Archive, accessed April 24, 2019, http://childrenslit.library.ryerson.ca/items/show/7125.